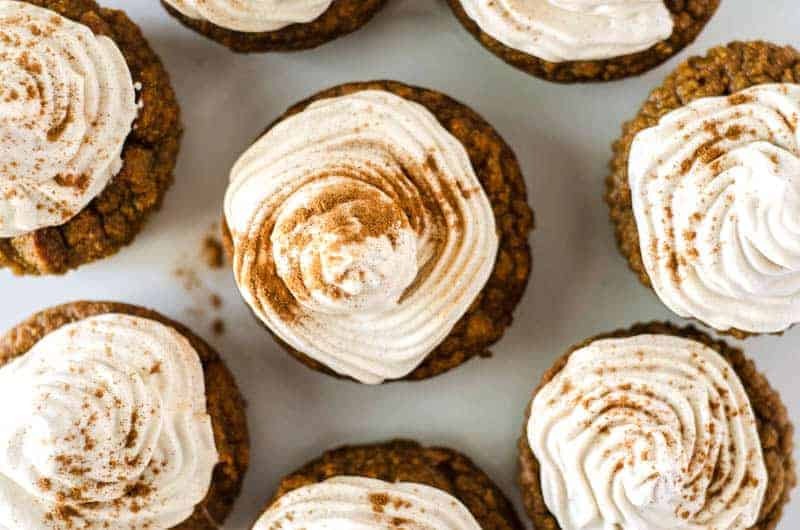 Confession: This recipe for these pumpkin cupcakes is not my own. I really wish I could claim that I figured this one out, but I have to give credit where credit is due, and the pumpkin cupcake credit does not fall to me. A few weeks ago, one of the gyms I coach at did a little “pregnancy WOD”/baby shower at the gym. Everyone had to do a workout carrying a “baby,” which was actually a 20# med ball, which was also as close as we could get to the actual 25# I had gained at the time of the shower. The best part, however, was that they had gotten a member of the gym, who also happens to be a pastry chef at a local restaurant, to make us cupcakes for after the workout. Because really, when you’re pregnant, what workout shouldn’t be followed by cupcakes? 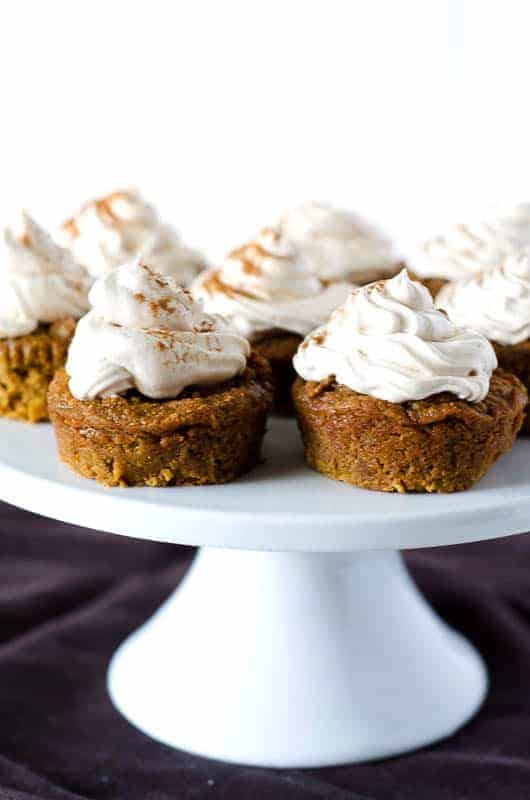 But for now, let’s just talk about/look at/enjoy/shove our faces with these pumpkin cupcakes. I wish I could tell you that you won’t want more than one, but that’s a lie. 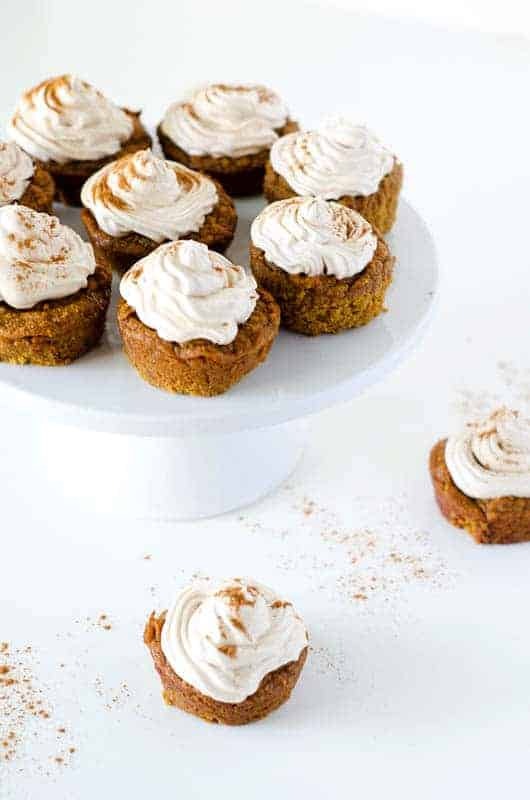 They’re kind of the consistency of pumpkin pie, but a bit denser, and the icing is so light that it’s fluffy and airy and not filling, which means that you just want to keep eating them. Now, I modified this recipe slightly, but I think for the better – I increased the amounts so you get double the amount of cupcakes. Because the only thing better than half the cupcakes is double the cupcakes. Or something like that. Note: You’ll need to pop your can of coconut milk in the fridge ahead of time to get it to separate! 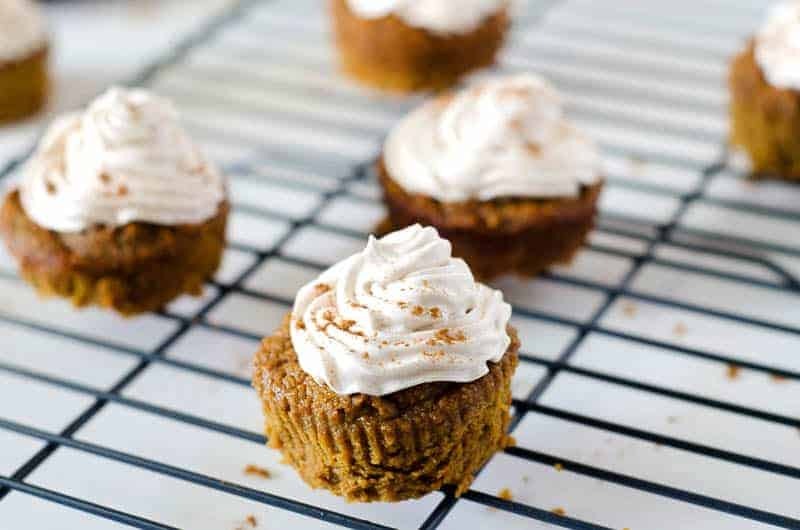 I just keep one in the fridge for occasions such as pumpkin cupcakes, but if you’re not a do-aheader like me, you’ll need to make sure that step happens first! Let me tell you about this icing though. You do NOT need to double the icing recipe. 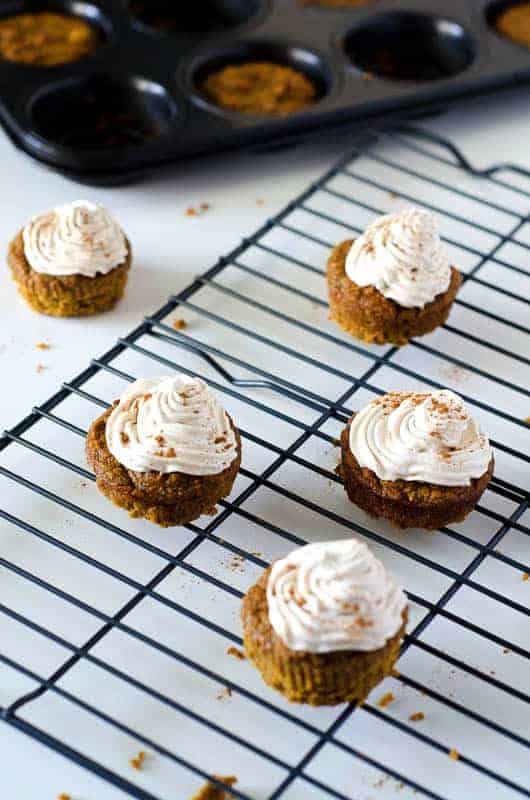 The meringue whips up SO FLUFFY and increases in volume in a hurry. I doubled it and had no idea what to do with the rest of it. 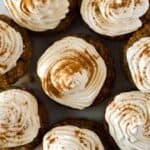 I ended up experimenting with meringue cookies in about 6 different ways. I did finally get them to work, but now I have a huge tupperware of meringue cookies in my fridge that no one seems to want to eat because we are meringued out. Anyway, the point is, you’re going to have a lot of frosting. My best advice is to just eat it with a spoon. 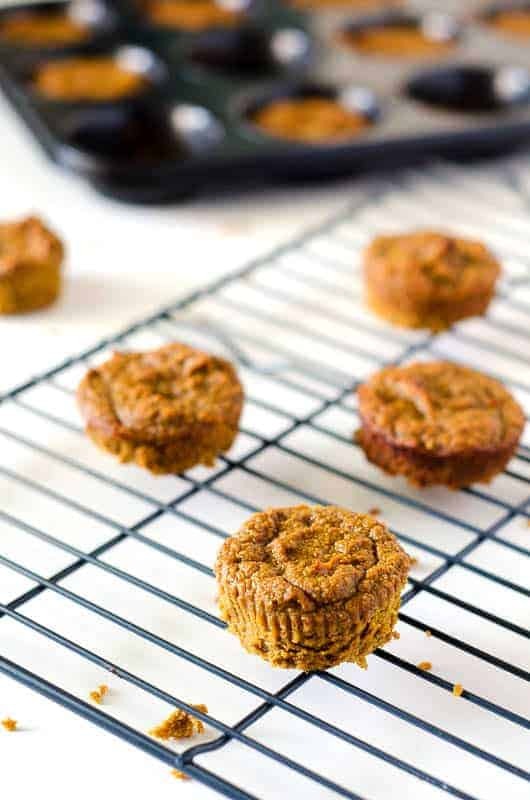 Preheat oven to 350° and grease two 12-cup muffin tins liberally with coconut oil. 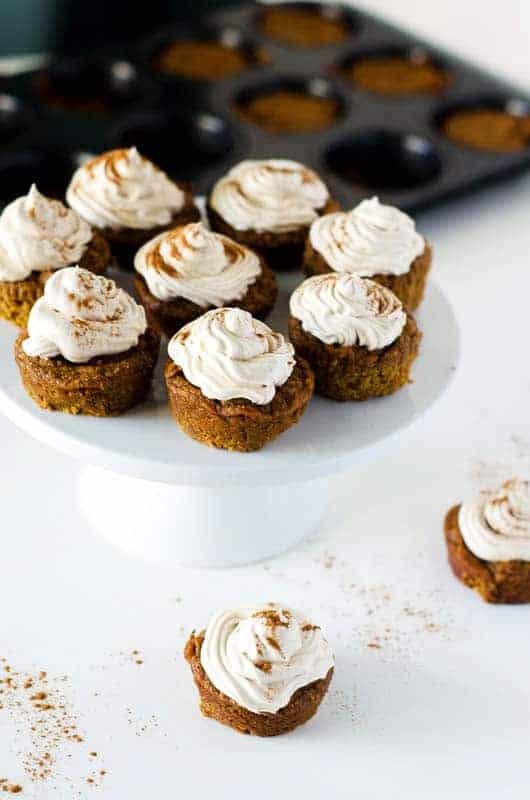 In the bowl of a stand mixer, combine the pumpkin, coconut cream, eggs, and vanilla. In a separate bowl, combine the coconut flour, coconut sugar, pumpkin pie spice, baking powder, and sea salt and mix thoroughly. Add the dry ingredients to the wet ingredients and mix on medium speed until combined. Bake for 30-35 minutes. Remove from oven, cool, and chill in refrigerator while you make the icing. Heat honey in a small saucepan over medium heat for 5-10 minutes, until it begins bubbling and darkens in color. While honey is heating, put egg whites and salt in the bowl of a stand mixer on medium speed. As eggs begin to froth, turn speed to high. Continue mixing on high for 2-3 minutes more until the meringue begins to thicken and cool. Add the vanilla and spices with the mixer running. Continue to whip the meringue on high until stiff peaks form. Spoon the frosting into an icing bag, remove cupcakes from fridge, and frost the cooled cupcakes.